The reigning king of all sheet cakes, this Texas Sheet Cake is a chocolate lovers dream. A rich, fudgy, moist cake coated in warm chocolate icing, then sprinkled with toasted pecans. Heaven! 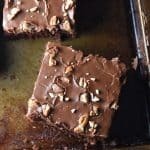 I’ve tried my fair share of Texas Sheet Cake recipes over the years. And honestly, I have never ever had a bad one. I mean, what’s not to love? It’s seriously difficult to screw one up. There are about as many Texas Sheet Cake recipes in existence as there are chocolate chip cookies, though. Some use sour cream, others use buttermilk. Some use a 15×10 pan, others use an 18×12. But this particular recipe is the bee’s knees. Might be the buttermilk and cinnamon! I assumed it originated in Texas…because DUH. But after some Google research, it wasn’t entirely clear. Some say it’s simply because the cake is large, like the state of Texas. 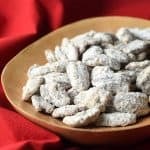 Others say it’s because of the addition of buttermilk (a Texan’s favorite ingredient), and pecans in the icing (which are native to south central North America, Texas in particular.) 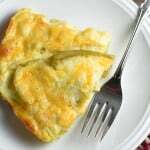 The recipe is also similar to one featured in the Dallas Morning News in 1957 that ended up taking the country by storm. It has also been suggested that Lady Bird Johnson was involved somehow, but historians combed the LBJ archives in Austin and couldn’t find any evidence of this. 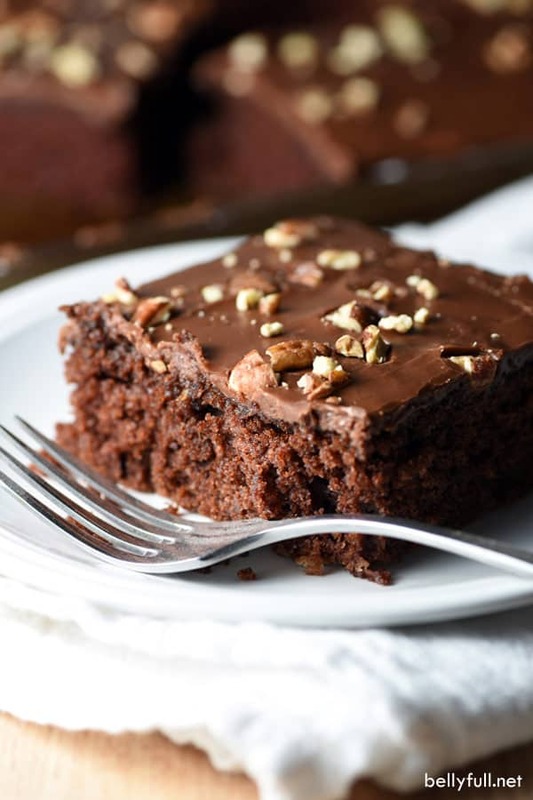 The cake became popular in the South in the 1950’s just after German’s Chocolate Cake became well known. The Texas Sheet Cake is similar in flavor, but way easier to prepare, making it gain huge popularity nationwide. So who really knows. Some history is concrete, some not so much. I say it’s a called a Texas Sheet Cake because it’s rich, bold, and cannot be ignored when entering a room – like a Texan! HA. Why are Sheet Cakes so popular? 1. They’re pretty hard to mess up! Sure, you still have to follow the ingredients and directions perfectly, as with any cake (baking is a science, after all!) But sheet cakes are pretty fool proof. 2. Single layer for the win. Because it’s flat, it cooks evenly all around. And it’s modest 1-2 inch height makes it easy to frost. Nothing a mile high, fancy, or complicated. 3. Sheets cakes are extremely portable. You don’t need to worry about them falling over on that long car ride to Aunt Betsy’s. And if your jelly roll pan comes with a lid, even better! They’re the perfect dessert to take to any potluck. 4. The frosting. Goodness, THAT frosting. It’s like nothing else, and what really separates Texas Sheet Cake from other chocolate cakes. With most cakes, you need to wait for them to cool completely before frosting, but not with a Texas Sheet Cake. This baby requires the cake and the frosting to still be warm, or you won’t be able to spread it. 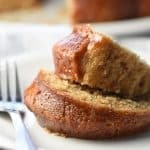 The frosting actually acts as a barrier, protecting the cake from air and moisture, allowing the cake to sit out at room temperature (wrapped and covered) for about 4 days and still be delicious and safe. 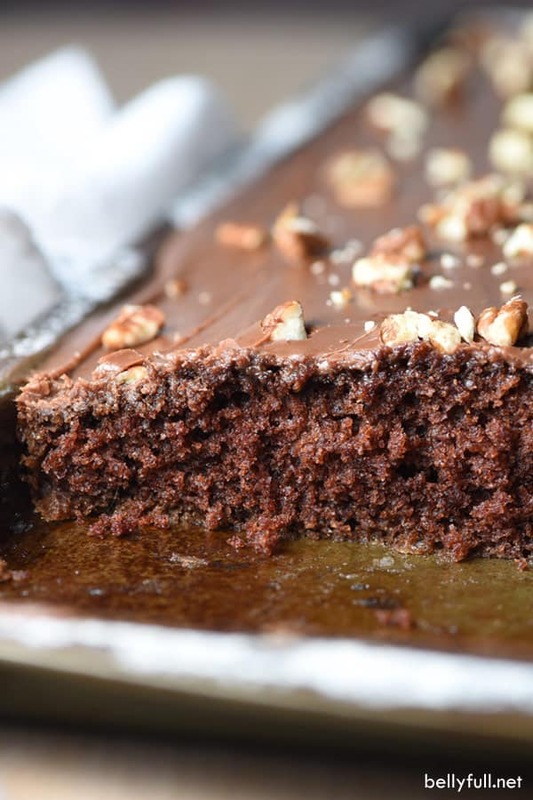 Tips for the perfect Texas Sheet Cake! 1. The frosting hardens fast! So don’t make that in advance. I suggest whipping it up right before you’re going to use it, then pour and spread with even strokes, followed by immediately sprinkling the pecans on top. 2. While it is important to pour the frosting over a warm cake, I prefer to let the cake cool for 8-10 minutes beforehand, otherwise the frosting completely absorbs into the cake and doesn’t leave that awesome thick, fudgy layer that is such a key component. 3. The size of your jelly roll pan does matter. A 13×9 pan will render a thicker cake, 18×12 (which is a half baking sheet) a super thin cake, and a 15×10 is perfect IMHO! Not too thick, not too thin. Baking times, if using something other than the 15×10 in this recipe, will vary. 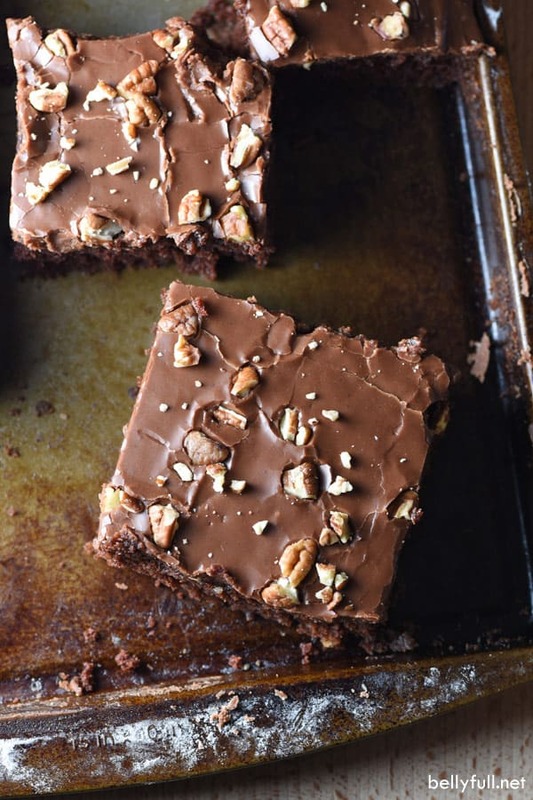 Texas Sheet Cake is one of those treats that I can’t make very often because I will literally stand at the counter and eat the entire thing right out of the pan. There was actually a time when I needed chocolate icing for something, but I made too much. To avoid eating all the extra, I poured it in the trash and then sprayed it with Lysol. True story. Most Texas Sheet Cake recipes require the batter and frosting to be made in a saucepan. I loathe dirtying up dishes and pans if I don’t have to. 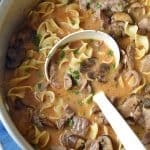 So I was especially attracted to this recipe, which eliminates the need for that. I finally made it to photograph and then over the course of three days, stuffed portions into my kids’ lunches each day…leaving me relieved and sad when it was finally all gone. I will be experiencing this all over again in a couple weeks when I make it again for my daughter’s 13th birthday. Because nothing says, “omg-you’re-thirteen-and-please-don’t-make-my-life-hell-for-the-next-five-years-and-I-love-you-so-much” like chocolate cake! 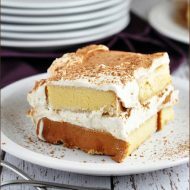 Other sheet cakes you might enjoy! The reigning king of all sheet cakes, this is The Best Texas Sheet Cake. A rich, fudgy, moist chocolate cake made with buttermilk, then coated in warm chocolate icing and sprinkled with toasted pecans. Heaven! Preheat oven to 400 degrees F. Butter and flour a 15x10-inch jelly roll pan. In a large bowl, whisk together the sugar, water, oil, buttermilk, melted butter, eggs, and vanilla until blended and smooth. In a medium bowl, whisk together the flour, cocoa powder, cinnamon, baking soda, and salt. Gradually add flour mixture to sugar mixture, whisking until combined and smooth. Pour batter into prepare pan. Bake until edges of cake pull away from the pan and the cake springs back when lightly touched in the center, about 18-20 minutes. Let cool in pan for 8-10 minutes. During the last few minutes of the cake cooling, make the frosting (don’t do this in advance, because the frosting will harden.) In a large bowl, whisk together the melted butter and milk. Add in the powdered sugar until combined. Whisk in the cocoa powder, vanilla, salt, and cinnamon, until fully incorporated. Immediately pour over the warm cake and spread evenly with an offset spatula. Sprinkle with the pecans. 3. The size of your jelly roll pan does matter. 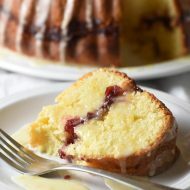 A 13x9 pan will render a thicker cake, 18x12 (which is a half baking sheet) a super thin cake, and a 15x10 is perfect IMHO! Not too thick, not too thin. Baking times, if using something other than the 15x10 in this recipe, will vary. 4. The cake can sit out at room temperature, wrapped and covered, for 4-5 days. I, too love sheet cakes using the 15×10 pan. It’s just the perfect height for cutting, serving and eating! 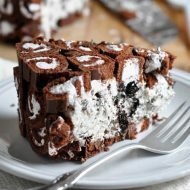 This Texas Sheet Cake mouth watering.